Loudoun Water continues to move forward with an innovative future in mind for Beaverdam Reservoir. With the dam and spillway renovation project nearing completion in early 2019, Loudoun Water expects to allow people back on the water by summer 2019. In the meantime, Loudoun Water and NOVA Parks are moving forward with the sustainable, innovative design of the future park, which is based on the community-supported concept plan. The Loudoun Water Board of Directors approved the design contract and Nelson Byrd Woltz Landscape Architects will bring the concept plan to life. Currently, the overall project is in the Loudoun County land use approval process. 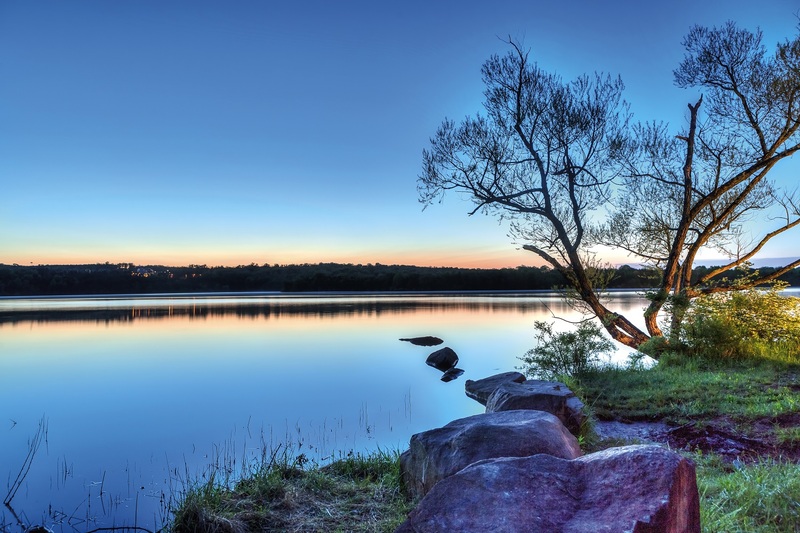 Loudoun Water views the park as an extension of our educational efforts and an opportunity to ensure that the focus of Beaverdam Reservoir remains primarily a drinking water resource, but with an ability to sustainably manage public access through our important community partnerships. While Beaverdam trail access is open to visitors, please remember to adhere to all posted keep out signs near the active construction area for your safety. Water access is closed at this tme for construction. 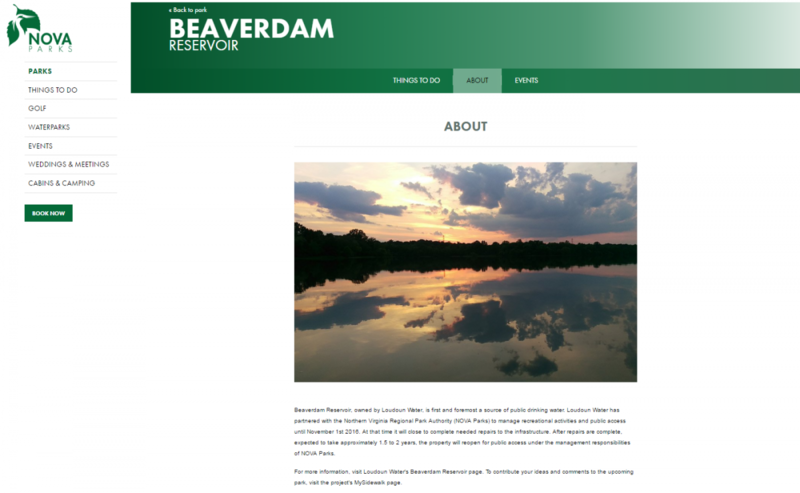 View the presentation from the Beaverdam Reservoir Open House. 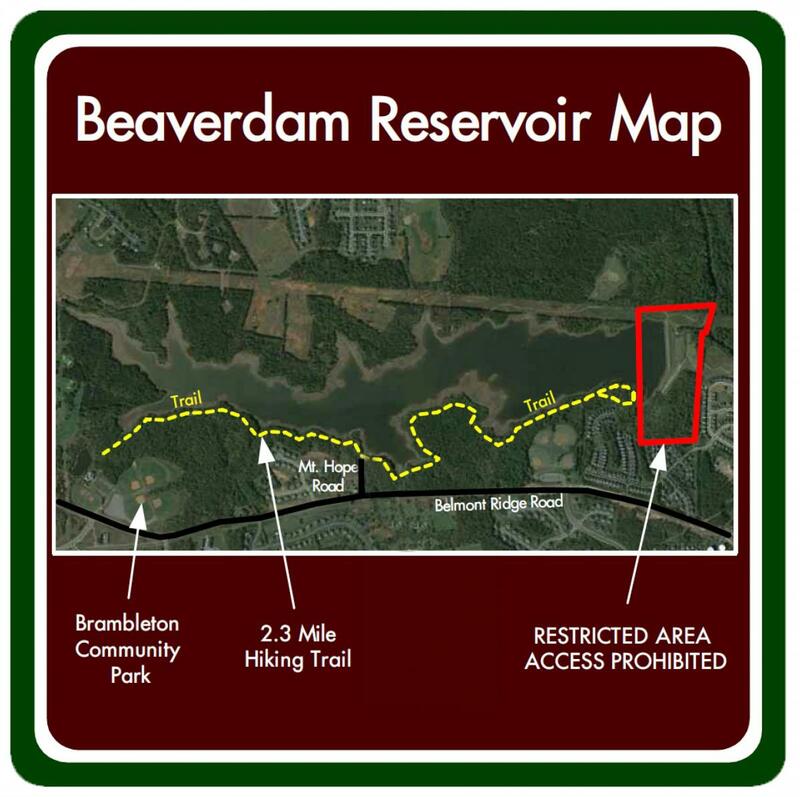 Beginning November 1, 2016, Beaverdam Reservoir's marked trails will be open for public access from dawn to dusk. During the renovation project, water access will be prohibited. No fishing, boating, paddling or other water activities permitted starting November 1. The park access gate will be closed promptly at dusk. For more information on the renovation project, please visit our Current Projects page. Look for upcoming information on the next public input session that will be held before the end of the year. On October 27, 2015 Loudoun Water and NOVA Parks hosted a community open house at the National Recreation and Park Association to gather input on recreational uses and other ideas to shape the greater vision for Beaverdam Reservoir. The UVA Institute for Environmental Negotiation was also on hand to assist. Approximately 200 people participated. They represented a broad range of interests, including personal safety, environmental education, recreational use (fishing, rowing, kayaking/canoeing, hiking/trails, mountain biking, and equestrian), nature enthusiasts and local resident perspectives. This newsletter provides an overview of the meeting and is the first opportunity for the community to review the range of input and ideas provided at the open house. 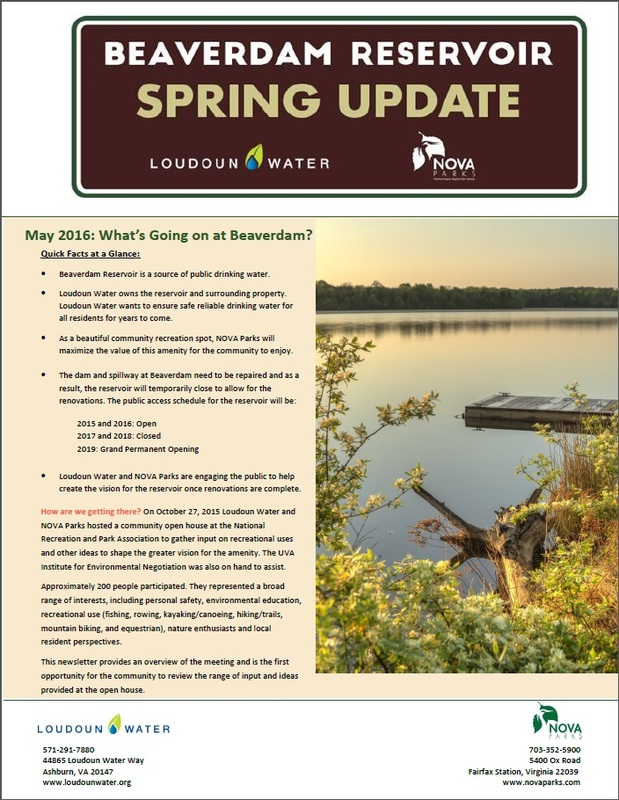 Learn more about the Beaverdam Reservoir Renovation and other current projects that Loudoun Water is working on. For more information about park rules and regulations, visit the NOVA Parks website.